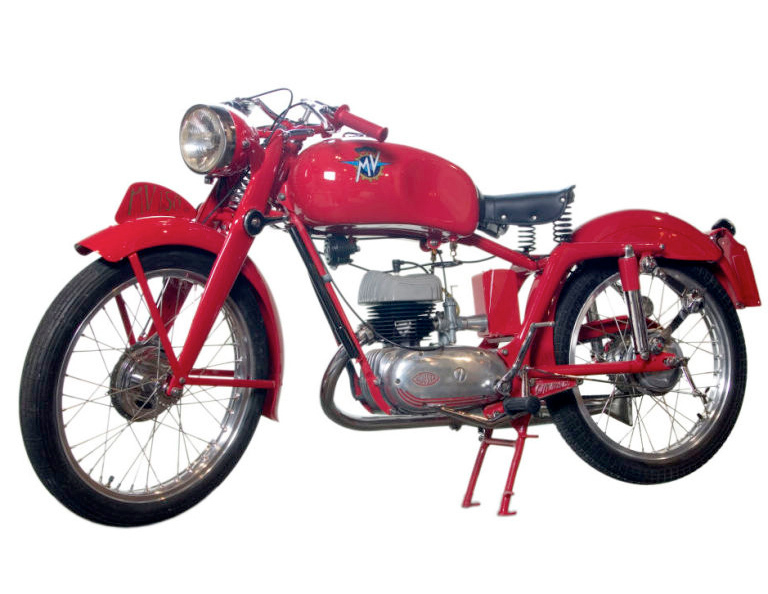 From BATTLESEA: Exquisitely restored, wonderfully vibrant Italian MV Agusta Motorbike. 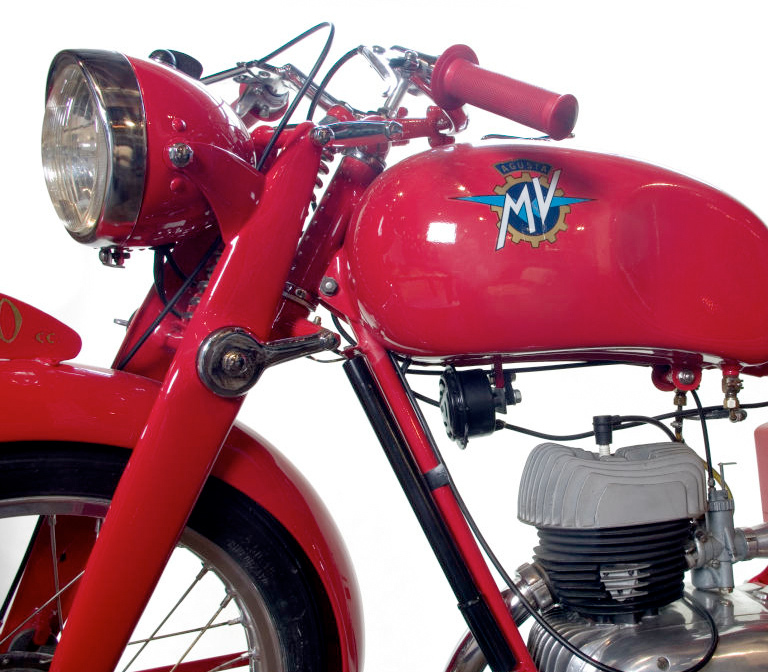 The Agusta was lovingly restored 10 years ago in Italy by renowned restorer, Franco De Piero. 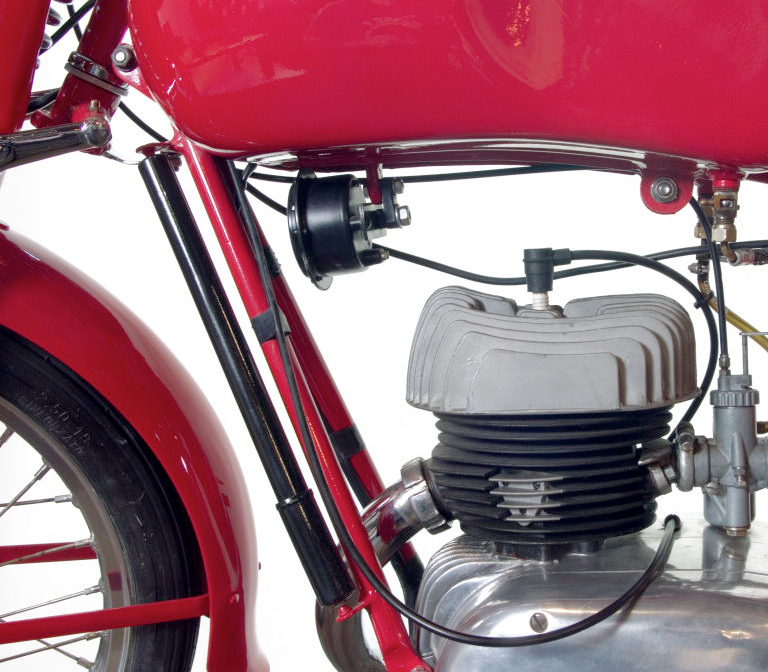 The bike is a rare single stroke model and was likely to have been made for racing due to the fast speeds it was designed to reach and was never mass produced. There are special markings on the chassis. The bike is an antique and has been restored to be an ornamental piece and not for actual use. The bike does however work.